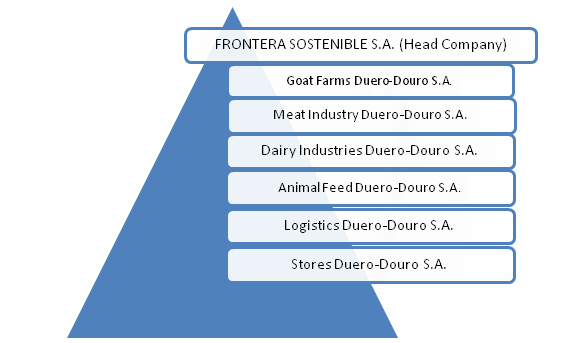 Self-Prevention model has been designed as the ideal tool for cleaning the mountains and land territory inactive Duero-Douro EGTC through grazing of goats, becoming the method of preventing wildfires appropriate for the specific terrain of this area. All biomass that accumulates in mountains and uncontrolled land becomes a dangerous fuel to a potential fire. Keeping these areas clean, if there is no fire can burn biomass, immediately stop the advance of the flames and becoming an effective firewall. The aging population, the abandonment of agricultural activities for their harsh conditions, lack of job opportunities and forest fires have caused a mass exodus of the rural population of the Duero-Douro EGTC to urban . This flight to the cities leaving thousands of acres of abandoned agricultural land where the bushes grow out of control, and forestry without livestock grazing on them. In a joint venture with public-private partnership created for the landscape of our territory is covered with ash after the summer. The Duero-Douro EGTC with environmental responsibilities as established by its Statutes, will manage 51% of that company and the remaining 49% completed with the addition of partners. The company welcomes goat farmers wishing to adopt environmental conservation, and also provides for the creation of new goat farms to cover the whole territory, industries use of milk and meat, and marketing platform to ensure Fire prevention is economically sustainable. The business plan model self-organizing and Self-Prevention is certified, high profits when looking at the whole structure is in operation in 2017. 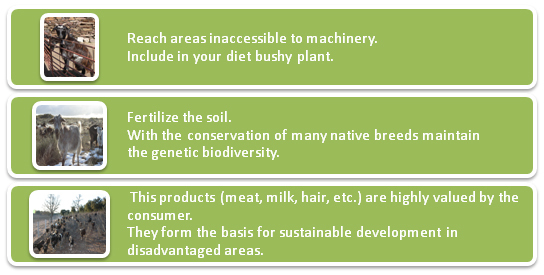 Furthermore, we propose the professionalization of farming and pastoral training for prevention. Social participation in fire prevention is beneficial for the environment and for our partners. That will be better preserved because controlled grazing goats in addition to not pollute the soil promotes, improves plant biodiversity and help prevent fires. Self-Prevention Project has started in Robleda (Salamanca) which has its first in extensive goat rearing.